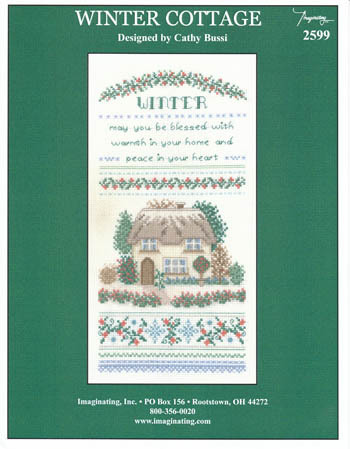 "Winter May you be blessed with warmth in your home and peace in your heart." Stitch count: 79 x 158. Fabric: #14 white Aida. Uses just a couple of specialty stitches.